U.S. Mail Supply, Inc. is a leading distributor and manufacturer of commercial and residential mailboxes, post office boxes, cell phone cabinets, mail sorters, mail hampers and other post office and mailroom equipment, furniture and supplies. U.S. Mail Supply offers the highest quality USPS mailbox products at very competitive prices, along with superior customer service. We carry a wide variety of supplies and specialty postal products for businesses, post offices, property managers, homeowner associations, housing authorities and individuals. 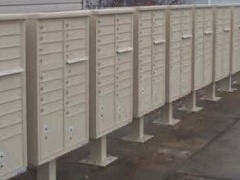 As of 2006, USPS mailbox regulations require all new construction and major renovations to have USPS compliant STD-4C mailboxes. Buying from US Mail Supply ensures you get the perfect commercial mailbox for your building, and you are compliant with all USPS mailbox requirements. Our products can be found in literally thousands of communities throughout the United States, including apartment buildings, condominiums, colleges and universities, office buildings, medical centers, military bases, government buildings and more. With customers in all 50 states, we’re known as the USPS approved industry standard. 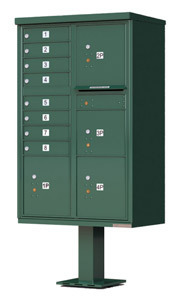 If you’re looking for mailboxes, mailroom equipment or lockers, you’re in the right place. We know many of the products we sell can be confusing – after all, how many mailboxes, collection boxes, mail sorters, etc. is the average person going to buy in their lifetime? Not many, that’s for sure. So, we have a ton of information on our website. If you can’t find the answers to your questions, just give us a call. Our friendly and knowledgeable customer service staff is here to help with any questions you may have. Every member of our team goes through two months of rigorous training before they are even approved to answer a phone call, so you’ll get all the information and guidance you need to make sure you get the right product for your application. Our outdoor pedestal style mailboxes are built to withstand all types of weather and come in a variety of styles, sizes, and configurations. 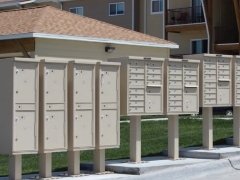 We have stainless steel and aluminum mailboxes that won’t rust in the rain, decorative cluster mailboxes that are perfect for an apartment complex or other multi-family living facility, and other styles to keep your mail and packages safe and secure. 4C horizontal mailboxes meet USPS regulations and high postal security standards to keep your mail safe and protecting you from identity theft. 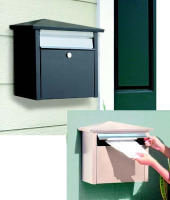 These durable, wall mounted mailboxes will easily last for decades. To make ordering easier, use our 4C Horizontal Mailbox Design Assistant for a customized mailbox configuration and price quote. U.S. Mail Supply offers top-quality pedestal, free-standing and wall-mounted drop boxes and postal specialties for any location. 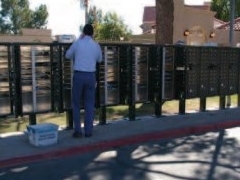 Our postal specialties include mail slots, mail sorters, key keepers, parcel lockers. US Mail Supply provides sturdy, secure, and weather-proof drop boxes to keep packages and letters safe until they are collected. 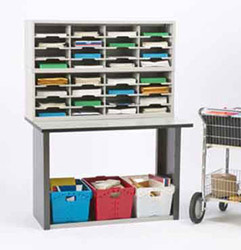 Keep your mailroom running smoothly with mail carts, hampers, movers and trucks. From mail sorters and trays to bags, bins and tables, our equipment helps you keep your mailroom organized. Shop our mailroom accessories and supplies to optimize efficiency, reduce the risk of lost mail and keep your employees happy. To keep your mail and packages safe and secure, our wall-mounted mailboxes have locking capabilities. 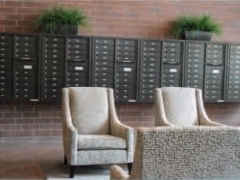 U.S. Mail Supply provides bulk storage solutions for apartment tenants and businesses. Heavy- duty construction guarantees years of security with no sagging, leaning, or buckling, and little to no maintenance. 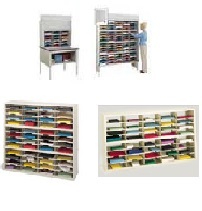 Easy to move and install, our lockers and storage solutions are also great for school or factory locker rooms. U.S. Mail Supply offers site amenities such as our DOGIPOT Pet Waste Disposal System to help keep your location clean, as well as pet friendly. These are great for public parks, apartments, condominiums, campgrounds, and hotel lawns. We also carry accessories such as litter pick-up bags and trash liner bags. Contact U.S. Mail Supply or dial 262-782-6510 or 800-571-0147 for more information.